Over the past few month's Maxwell has started to get into the Lego craze, something that I was excited about. 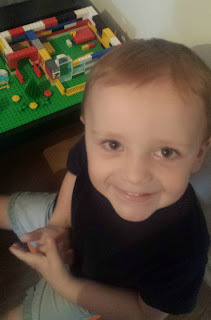 Recently I made Maxwell a Lego table and along with the Lego table, I also gave Maxwell some of my own Lego from when I was a child. Since Maxwell received his Lego bit's off me, he has spent a lot of hours building me things.Maxwell has a great imagination and his Lego models have shown this. This summer Maxwell was challenged to build his dream home out of Lego in exchange for a box of Lego. As soon as Maxwell received his box of Lego he set about trying to create his dream home. I knew Maxwell's dream home would be different and it would be unique, however I was not ready for the fun ideas Maxwell included in his dream home. Over the last few weeks Maxwell has been telling me what he would like to include in his Lego dream house and has also built some random and wacky things. Although Maxwell has speech delay it has been easy to understand what Maxwell really wanted from his dream house thank's to pictures and books. After several weeks, Maxwell has created something which he can be proud of. The house is packed with some fun features which everyone needs in there own home. Maxwell's dream home is like a regular home however it has a large dog flap. This is for his Lego dog which he has named "Purple". Purple has a small dog house outside Maxwell's dream home and has a yellow bed inside Maxwell's home to sleep. Maxwell placed the dog bed near the window so Purple was able to get in and out with ease. Maxwell has a bed in his home as well as a seating area for his visitors to sit on. Maxwell's lego bed matches purples bed! The table includes simple things such as a cup and has 3 seating places around it. The door is see through which means Maxwell can gaze out the window when he is in bed and look at the stars. Maxwell has added a few fun features to his dream home. 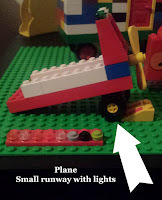 He has included a plane runway so his plane can fly off into the air at any given time. He has included lights on his runway so at night you can see his runway. Maxwell has also included a caravan outside his dream home incase he has any visitors to stay. He hopes that his family can stay often. Maxwell has also added a park in the garden which includes a roundabout and some monster rides which run after him which make him giggle and squeal. He also included a little forest as he lives in the New Forest and goes on lots of walk's. He thought it would be a great idea to take purple for a walk there. I adore Maxwell's dream home and it is fantastic to see how hard he has worked on his project. My favourite feature from Maxwell's dream home is the dog house. I think Maxwell should win as he has put a lot of thought into his project. He has included his favourite things into the design such as planes, the forest and caravan holidays. 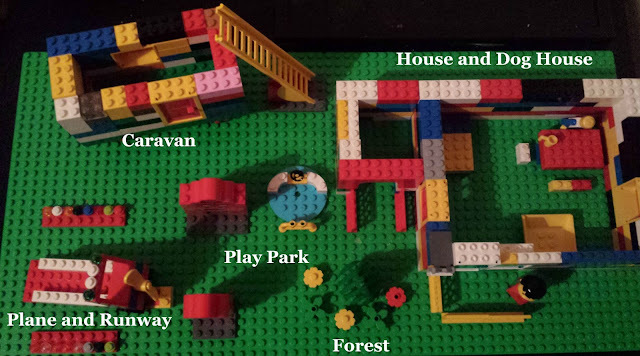 He has also included a park. Have you enjoyed viewing Maxwell's dream home? What is your favourite feature from it? Thank you. Maxwell enjoyed making his dream home. Maxwell enjoys playing with his Lego. Maxwell has done a fine job there. Thank you. Maxwell loves building with lego. Maxwell loves building and stretches his imagination. 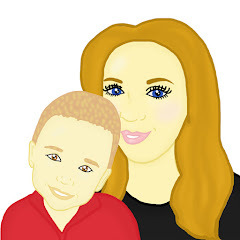 Using Lego to challenge your child's imagination is a great idea! What a clever little boy you have. I love the fact that with his runway and aeroplane that he has at his dream house he's also included the lights so the aeroplane know where it's going, brilliant! Ha! We are a bit mad on Lego in our house at times! With four of them we need a mighty big box and at tidy up time everyone decides they are busy elsewhere! We make a game in tidying up. It works at present. Hope your brother doesn't read your comments ha ha. Post like these really want me to play with Lego again. It's time that I have little ones to play Lego with. Maxwell really enjoys his Lego building. I remember playing lego with my sister. Lego is certainly a firm favourite at present. Maxwell enjoys playing with his Lego on the table I made. My parents have a caravan ... probably where Maxwell got his idea. Ha ha ... and the salary to go with it would be nice. LEGO is a brilliant toy and Maxwell's design is very imaginative. My favourite part is the dog house. Maxwell loves dogs. He stand by the lounge window and waves to the dog across the road when its' owner takes it for a walk. Thank you for your comment Agata. Lego is the best! Love his dream house - what a fab job he has done! So detailed! He's put so much work and thought into it. 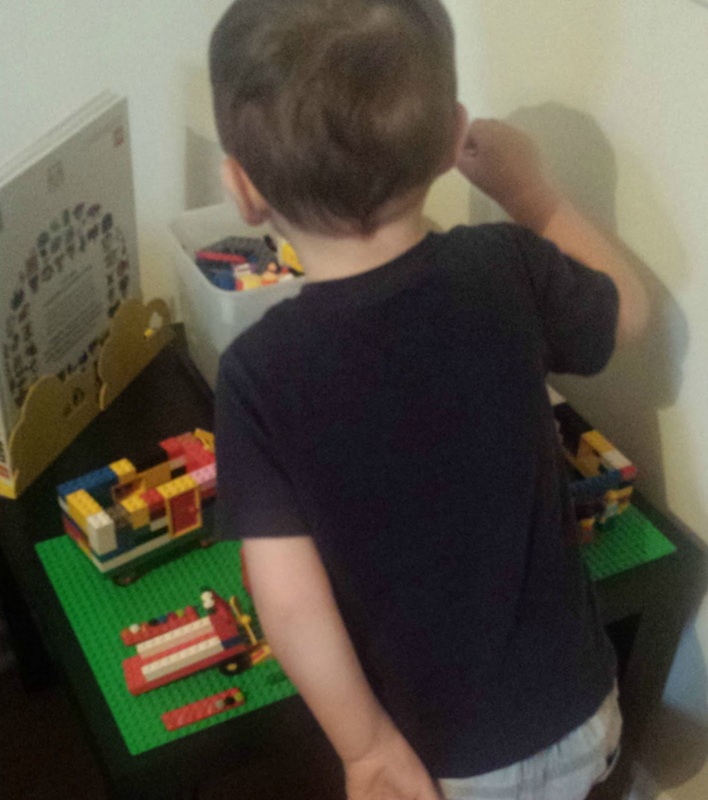 Maxwell loves his Lego and it extends his imagination. Oh dear, Maxwell loves playing with his Lego. He's clearly put in a lot of effort. I love that he has his own play park. We are lucky to have a park very near to us which we visit regularly. That is actually amazing. Such a clever boy you've got! Loving his little plane and runway! Lego is always such great fun! And fab for imaginative play as well. I love Maxwell's ideas, good luck to him in the competition! Ah his lego house is fab! Loving the caravan!